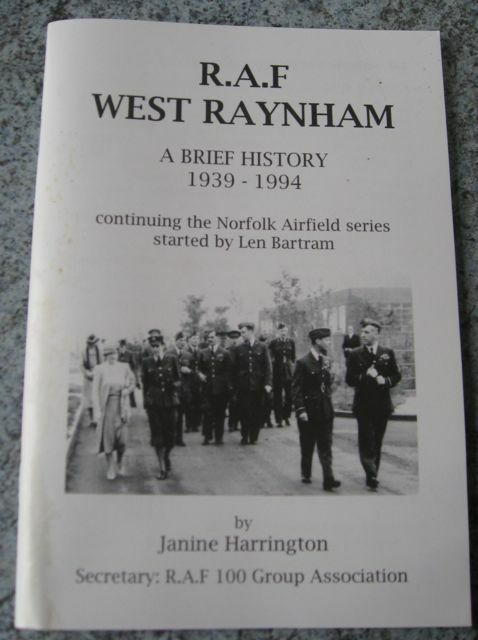 The first batch of short booklets on the World War II airfields of Norfolk, especially those relating to the RAF 100 Group written by Len Bartram have become extremely popular so discussions abounded about the rest of the ‘missing’ airfields from the RAF 100 Bomber Group. 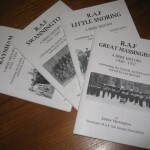 Although there are already seven little gems already out there, there were some missing, notably RAF Great Massingham, RAF West Raynham, RAF Swannington and RAF Little Snoring. 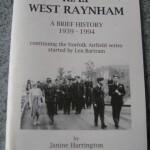 These have now been written and produced by the RAF 100 Group Secretary and are available from City Bookshops in Norwich (address at the end). 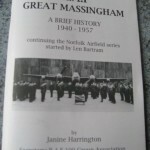 RAF Great Massingham - 1940 - 1957 Sporting a fine picture of of 169 Squadron parading in front of a Mosquito FBVI receiving their crest, a hunting horn with the motto ‘Hunt & Destroy’, in July 1944 on its cover this booklet is full of memories of those that served on the base. 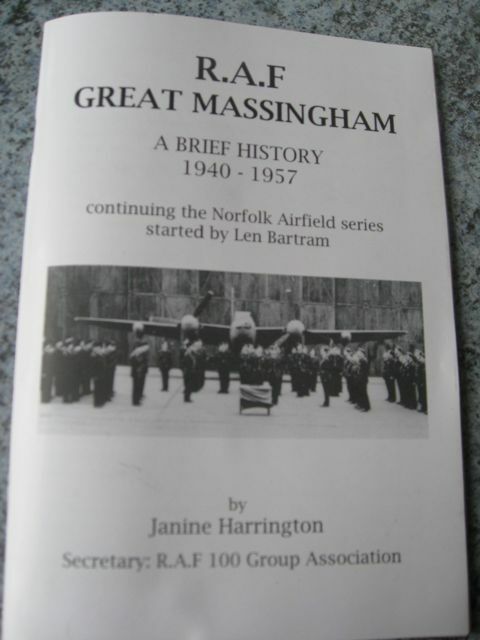 Pretty much the whole of the Raynham Hall estate was commandeered by the RAF, along with a few other surrounding farms, to create Great Massingham airfield which became operational as a satellite airfield to West Raynham in 1940. The airfield was unlike any other in that the crews were billeted at West Raynham and cycled over daily, the staff with local families. The airfield had no perimeter fence or gates. It was altogether extremely informal. This strange situation prevailed until April 1944 when it got concrete runways and accommodation for aircrew and 800 ground personnel. The first to move in were Blenheims from 18 Squadron in 1942. These were replaced by Blenheims from 107 Squadron and Flying Fortresses of 19 Squadron which didn’t stay long the grass runways not really being upto the weight of the Fortresses. In time the 107 Squadrons’ Blenheims were replaced with Bostons, famed for their low level raids into Europe including the Abbeville railway yards. 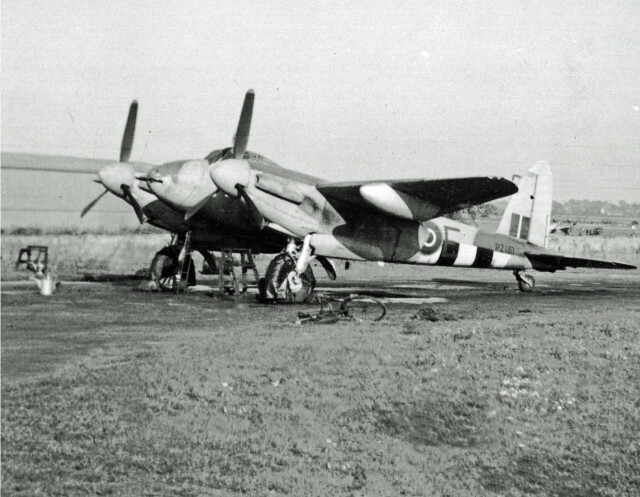 By 1944 hard runways had been built and 169 Squadron Mosquitos and Beaufighters were operating mainly ‘Night Raider’ and ‘Serrate’ sorties against German night fighters. 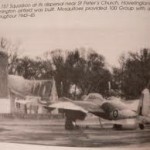 169 Squadron was disbanded in August 1945 and RAF Massingham was handed over to 12 Group Fighter Command and the Central Flying Establishment at West Raynham continued to use the airfield for a further 4 years. 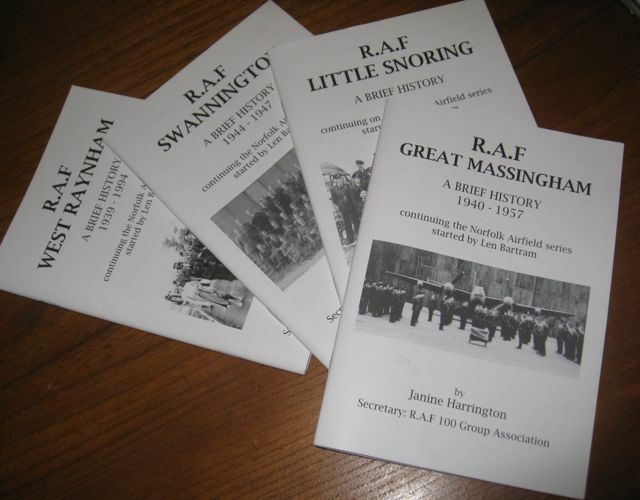 Keith Miller the Australian Test Cricketeer was stationed at Great Massingham in 1945 flying Mosquitoes taking part in raids against V1 and V2 bases. When asked many years later by Michael Parkinson, about pressure in cricket, Miller famously responded with the now famous quote: "pressure is a Messerschmitt up your arse, playing cricket is not". 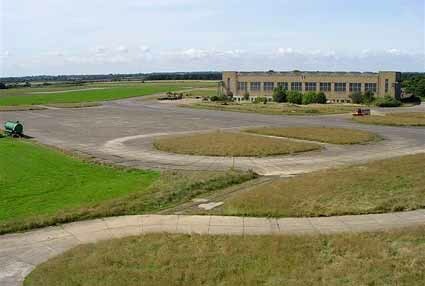 The site was sold in 1958, one of the first ex RAF airfields to be disposed of in this way and although it is now farmed the bulk of the runways still exist but there are scant remains of any of the buildings apart from a T2 hangar which may or may not be original. 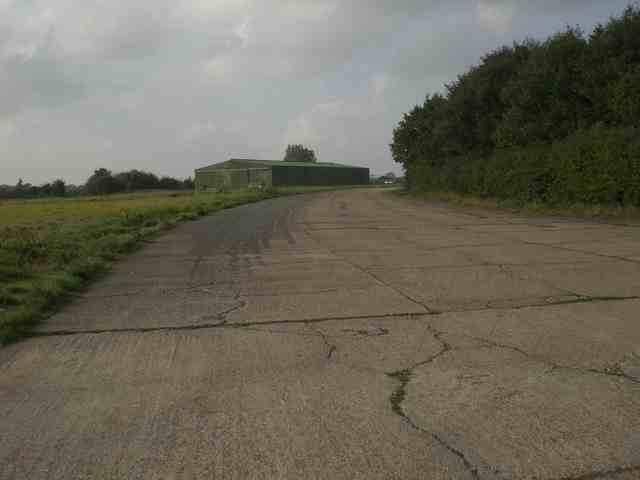 A small strip still operates for light aircraft and visiting aircraft are allowed in with prior permission. ‘Straightening up after the next bend, I crossed Vauxhall Bridge and there, a mile or so ahead, was that familiar and splendid silhouette of the Houses of Parliament, viewed within a special sense of Triplex privacy. This was my main target area. As I banked over climbing slightly to circle Whitehall and the historic seat of British government, I had to open my throttle fully to maintain a good tight orbit. I realised this would put the noise level up considerably, which up to now I had been careful to keep as low as possible to avoid offence or complaint. As I put the Rolls-Royce power on, I decided that this was perhaps what was really necessary at this juncture to wake up our MPs and remind other august figures, sitting chairbound at their ministerial desks below, that we still had a fighting Air Force, one small unit of which was celebrating its anniversary, despite the dead hand of government policy and the sickening cut-backs of previous years’. Well aware of the dangers he posed to aircraft approaching Heathrow Airport he decided to exit London low-level down the Thames when quite unexpectedly he was confronted by Tower Bridge which, making a split second decision, he decided to fly through. 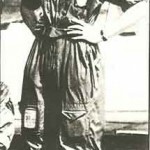 ‘At the last split second before I crossed underneath, the steel girders suddenly seemed to explode all about my cockpit, above, below and about my ears, totally engulfing canopy and one's traditional sense of flying fun! That microsecond my mind felt quite certain I had overcooked it and the top span would certainly take my fin off the next millisecond. Something then happened which had only occurred once before to me, when I had mushed after pull-out from an FAC attack with over-sufficient aircraft weight and "g" and insufficient speed, power and thought! Thinking I had hit the ground but missing Cloud Ninety Nine by a whisker, my heart actually had missed a couple of beats with the shock of expected imminent disaster. After that there was the acute, physical reaction as the heart fires up to full stroke again, just like a fighter's fuel pump, trying hard to catch up again. My Hunter flew on, rather unexpectedly finding itself still completely functional and not a finless wonder and I headed out over Greenwich and Hornchurch, heading towards Clacton’. What followed was an extreme beat up of Wattisham, Lakenheath at Mach .93, Marham arriving with an inverted flypast over the hangars at Raynham. His exploit and its eventual outcome is well documented. West Raynham closed for flying in 1975 with the departure of the Canberras that were then based there, finally closing on 1st July 1994 but retained as a Stragetic Reserve. Following a lot of scandal and debate concerning the derelict state of the living quarters and associated buildings when there was a severe housing shortage in the area it was finally sold in 2006 and is now managed by FW Properties the property developer who bought it going into receivership. Almost all its buildings remain including the original ‘Fort Type’ control tower, the huge ‘Control Tower for Very Heavy Bomber Stations’ built towards the end of the war, one of only four ever built, and the Rapier missile training dome. Its latest claim to fame is as one of the most haunted sites in Britain probably exacerbated by the fact that it almost completely deserted. http://www.rafjever.org/4sqnper04.htm Flt Lt Pollock’s full account of his flight amazing reading. 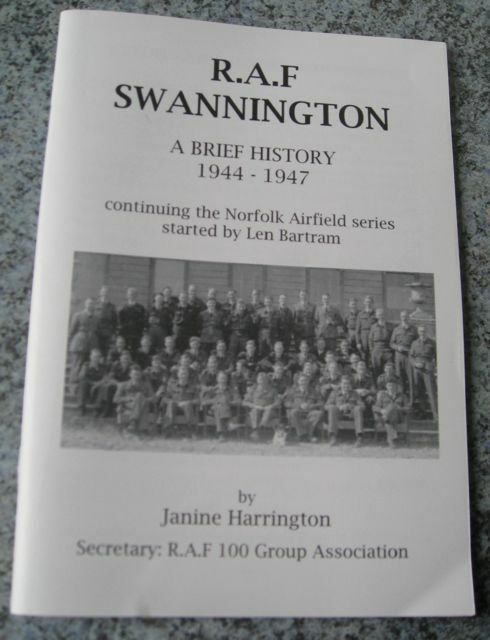 RAF Swannington - A Brief History 1944-1947 The date of the cover picture is unknown but miraculously most of the sitters, probably HQ Staff, have been identified and are listed on the inside cover. The airfield was built on the Haveringland Estate, in fact the estate was basically levelled to create it and apart from a few farms and the church nothing remains of it today including the Hall itself. 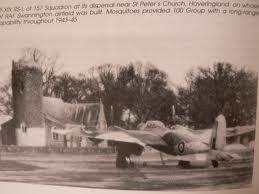 It was opened in April 1944 and became home to 85 and 157 Mosquito Squadrons, part of 100 RAF Bomber Group. In their bomber support role Swannington-based Mosquito’s shot down 71 enemy aircraft. For a brief spell over the winter of 1944/45 it was a training base for three squadrons of Spitfires which also carried out anti-V2 launcher patrols. It also claims to have been the last British Airfield to be attacked when the Luftwaffe bombed it on during the night of March 16/17th 1945. After the war it became a Maintenance Unit with many Mosquitos being both stored and broken up there. Despite plans to upgrade it for jet fighter use it closed in 1947 and was sold off quickly returning to agricultural use. Almost all the three runways have now gone but a few buildings remain including the control tower complex and the old squash court. Probably the most evocative picture, albeit, wildly out of focus and aged, taken of a Mosquito on its dispersal point in front of the church was taken there. The hard-standing remains to this day and the view in the picture is unchanged just missing the Mosquito. 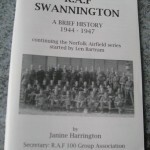 http://www.swannington-norfolk.co.uk/index.html great site with lots of information including pictures. http://www.airfieldinformationexchange.org/community/showthread.php?310-Swannington some interesting stuff here including nice modern-day pic of the church. 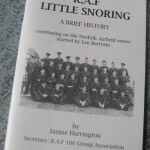 RAF Little Snoring - A brief history Another good old ‘sat for’ picture taken of the Headquarters Staff during the Summer of 1944. 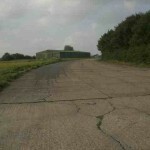 The airfield, of traditional three runway configuration, was built towards the end of 1942 slightly to the east between Great and Little Snoring and from the outset designed for heavy bombers. The camp itself was dispersed around Little Snoring village and today although very little remains of the original base apart from a couple of hangars and the abandoned control tower, it is still an active airfield with the end of the longest runway still in use. It opened for use in mid 1943 with the arrival of 115 Squadron’s Hercules engined Lancaster IIs but their stay was short lived and they left in November 1943 to be replaced by radar equipped 100 Bomber Group Beaufighters and Mosquitoes from 169 Squadron. 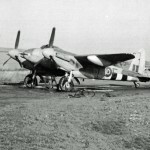 By February 1944 along with Mosquitoes from 515 Squadron offensive operations began against the German Night Fighters. On the 20th April they airfield was attacked by German aircraft having got in undetected amongst returning British bombers. In 1944 23 Squadron moved in, another anti-night fighter squadron operating as, what was termed, an Intruder Squadron intercepting German night fighters deep in Europe. At the close of hostilities Little Snoring remained active. Amongst their duties it became home to Halifaxes flying ‘Cook’s Tours” the practice of taking groundcrew and Squadron staff amongst others on flights over ‘bombed’ Germany. Once the Japanese defeat was announced 23 Squadron stood down and was disbanded on 25 September 1945 only to reform a year later at RAF Wittering going on to operate Javelins, Lightnings and Phantoms. A total of 55 Bomber Command aircraft were lost in operations flown from Little Snoring, 12 Lancasters and 43 Mosquitos. 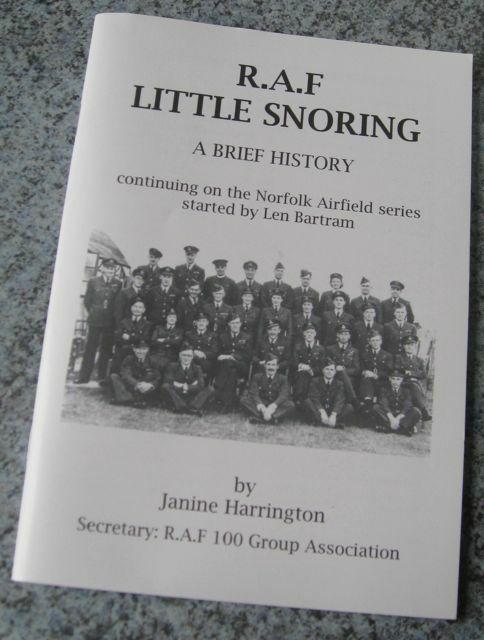 In the immediate post-war period Little Snoring was used to store aircraft, mainly Mosquitos. 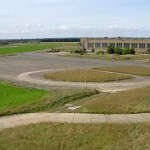 It was then put on care and maintenance until an anti-aircraft co-operation unit on civilian contract operated from the airfield over the Wash ranges for several years during the 1950s using Spitfires and later Vampires before being disbanded in 1958 whereupon the airfield became redundant allowing the road to Thursford to be reopened in the 1960s using part of the eastern perimeter track. Local flying interest, sustained by the Cushing family who owned much of the land taken for the airfield and re-acquired it later, has ensured that Little Snoring has been maintained for club and private flying ever since.